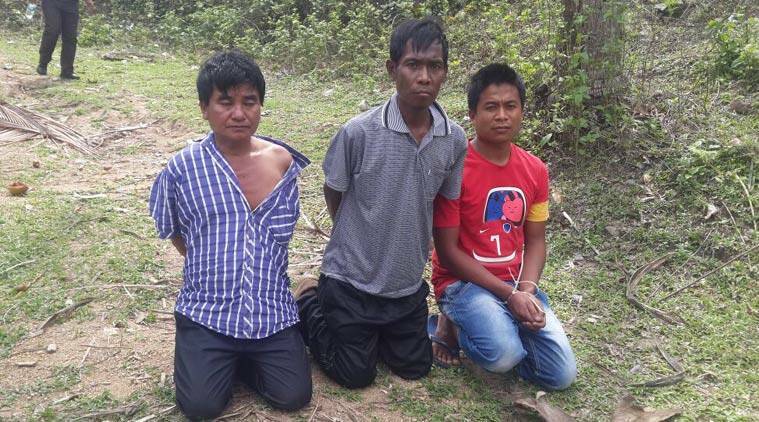 Aizawl, Apr 17 : The Mizoram Police on Thursday arrested self-styled army commander Lalropuia Famhoite, 47, of the militant group Hmar People’s Convention Democratic and two others in south Assam’s Silchar town. The Zosangbera faction of the HPCD, of which Famhoite is a senior leader, has claimed responsibility for the ambush of an MLAs’ convoy that killed three policemen late last month and injured six others, including two civilians. A police spokesperson said the trio, which also included self-styled HPCD finance secretary Norbar Sanate and a self-styled private, were nabbed by police at Ramnagar, Silchar, at 11.05 am Thursday. The spokesperson added there are currently two warrants of arrest against Famhoite. The state government is moving towards declaring the HPCD an “unlawful” Organisation and some areas of Mizoram’s border with Manipur, where the militant group is active, a disturbed area. Threats by the militant group have also resulted in local politicians being too scared to contest rural body elections in at least 26 villages that fall within a region the HPCD wants to be part of a tribal autonomous council for the Hmar tribe, considered a part of the Mizo community. Polls to village councils are scheduled for the last day of April in six of Mizoram’s eight districts.